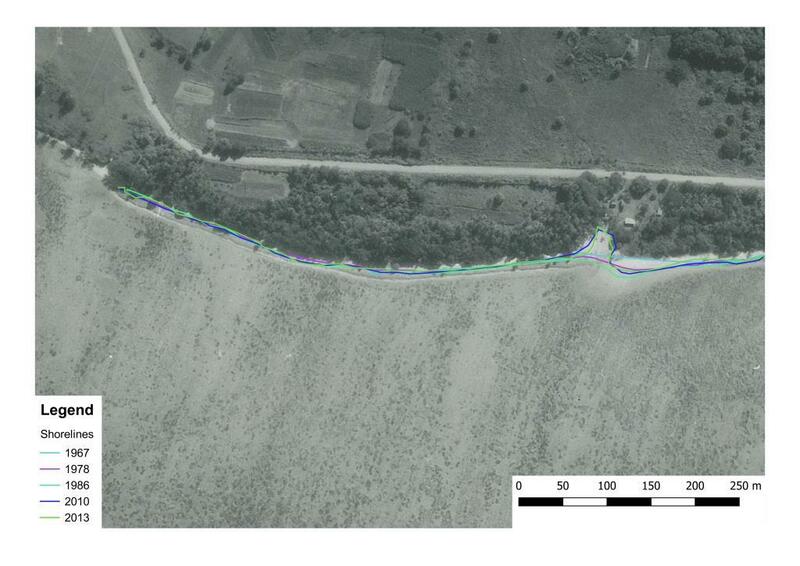 Historical images were georeferenced against the latest 2014 imagery, the resulting error ranged between 3 –9m . The toe of the beach (where visible) was used as a proxy for shoreline (Boak and Turner, 2005). The shorelines positions for each of the years were located within 4m from each other, suggesting that there has been no significant changes in the shoreline position since 1967. Overall no significant change in the shoreline position could be detetcted(i.e. less than the error in georeferencing). However, the position of the vegetation line has changed dramatically because recent development has removed coastal trees/bushes. It is unclear whether the changes in the vegetation line is associated with an erosion of the beach. As seen in the image below, there seems to be accretion on the South side of the island in 1984. This was due to Tropical Cyclone Bebe, a Cat 3 cyclone which affected Tuvalu between October 20 - 22 1972. The waves during the cyclone deposited a large rubble mound on the reef which slowly merged with the shoreline resulting in the increase in the size of the island. The rubbles were constantly being eroded but a significant proportion of it was still present in 1984 when the island had a footprint 15% larger than before the tropical cyclone. 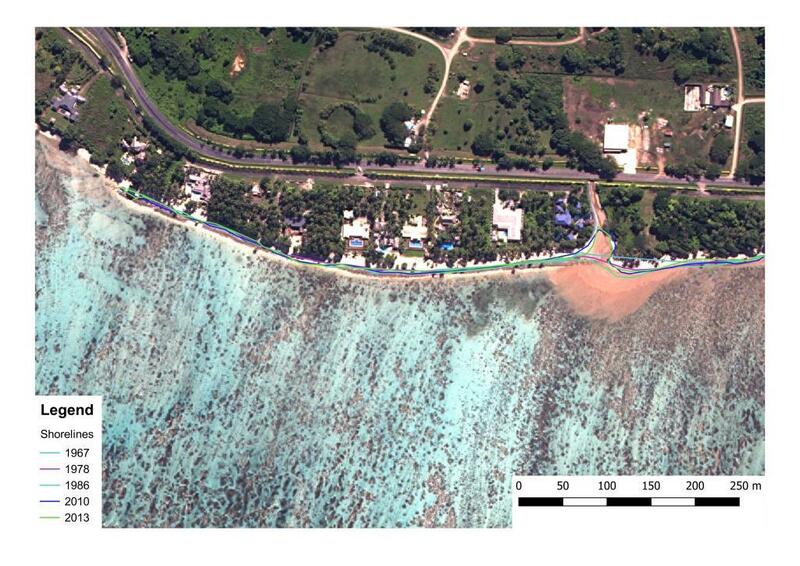 By 2002, the rubble bank had disappeared in Fatato and the island had returned to within 5% of its pre-cyclone size. Over the last decade, the island size has remained relatively stable within 5% of the 1945 size. However the lagoon-side shoreline has not recovered to the 1945 location and the center of the island appears to have shifted further South.